Home » News » Welcome to Polished! Blue’s ArtHouse extends a hearty WELCOME to Polished, a communications, etiquette and protocol consulting agency offering seminars, programs, writing and speaking services. 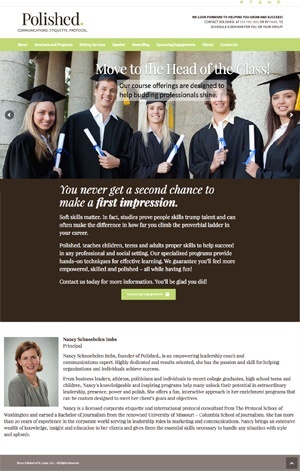 We happy to now be working with Polished owner, Nancy Schnoebelin, to keep their website maintained and… well… POLISHED! !